This week's featured piece of assemblage art is the first of two entitled 'Bury my heart at wounded knee' - after the 1970 book of the same name by author & historian Dee Brown that covers the history of Native Americans from their perspective. My work follows the theme of the book, which describes a series of betrayals and injustices by the US government, who are portrayed as destroying Native American culture through warfare, forced relocations and persecution. 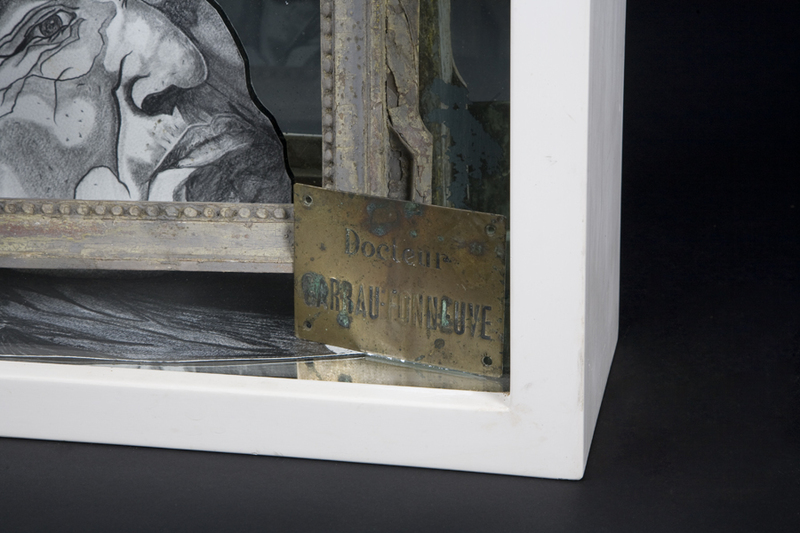 'Bury my heart at wounded knee (1)' is a 470mm x 610mm x 190mm assemblage box featuring one of my original pencil drawings, antiqued mirror glass, bird skull & vertebrae with vintage frame and antique bullet, billiard ball and brass plaque. Wounded Knee was the location of the last major confrontation between the US Army and Native Americans. It is also the place where Crazy Horse's parents buried his heart and some of his bones after his death in 1877.